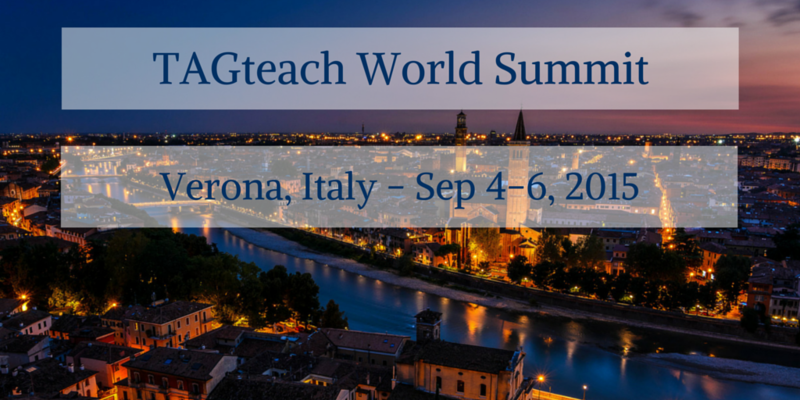 Join us for the very first TAGteach World Summit in beautiful Verona, Italy! Along with a heavy focus on enjoying Italian food, wine, and sights, there will be three days packed with amazing speakers, presentations, and fascinating TAGteach presentations. Just to make sure this conference is an event you’ll never forget, we have an expert in history and archaeology to guide us through the most memorable sites of Verona: including the ancient Roman Verona amphitheater, Romeo and Juliet’s Balcony Castelvecchio, Porta Borsari, piazza Erbe and more. The guided tour will take place on Monday, September 7. If you choose to extend your visit, Venice, Padua and Milan are all a short train ride from Verona. Breakfast - Although coffee, tea, and light refreshments are provided, full breakfast is on your own. Lunch - Lunch will be available on site (food is GREAT!) and you can order and pay for your lunches in the registration. A vegetarian option will be available. There are local eateries within walking distance. Dinner - Evening food and entertainment is on your own. We’ll announce suggestions for evening gatherings sites at the beginning of each seminar day. Entrance fees: to museums on guided tour. The Don Bosco Institute is in downtown Verona. It is a five minute walk to the ancient Roman Arena, Castelvecchio and more. Verona is full of cozy hotels. Here are just a few suggestions. Travel By plane: Verona has an international airport. Venice also has an international airport and easy access to trains that will take you to Verona. There is a bus line between Verona's airport and the town. The buses stop at the Trains Station which is 10 min. walk from Don Bosco Institute. If you prefer there are few bus lines which connect the train station to Don Bosco Institute. By Car: Highway A4,exit Verona Sud. Then go to the downtown. There will be parking inside Don Bosco Institute will host our cars in its parking lots. TAGteach reserves all video/audio taping and photography rights at this educational conference. No video or audio taping is permitted in session rooms. All cancellations must be made in writing and emailed no later than July 1, 2015 for a refund. Cancellations emailed by July 1, 2015 will receive a refund less a $50 processing fee. Cancellations postmarked or emailed after July 1, 2014, may use their registration fee to pay for alternative TAGteach seminars, webinars or online courses. Submit your cancellations to Joan@tagteach.com. You will receive confirmation of your cancellation no later than 72 hours after it is received. If you do not receive this notification, you should resend the notice to t@tagteach.com. All speaker materials and slideshow presentations will be available for download for attendees prior to the conference.